Embark Richmond Highway supports the county's long term planning goals of expanding transit service, improving the county's multimodal transportation system for mixed use areas and building more dense, mixed-use, transit-oriented developments that attract more residents and businesses, and create more job and tax revenues. It also supports the county's Strategic Economic Success Plan, and the goal of revitalizing the Richmond Highway corridor and attracting new high-quality development. Officials from Fairfax County and the Reston Bicycle Club held a ribbon cutting ceremony on 27 April 2016 to celebrate the installation of a new automatic bicycle and pedestrian traffic counter on the Washington & Old Dominion (W&OD) Trail in Reston near the intersection of the W&OD and Old Reston Avenue. "The counter provides an opportunity to better document the usage of these modes of transportation, and will support the county's planning and investment in future bicycle and pedestrian improvements," said Adam Lind, Fairfax County Bicycle Program Manager. "We really appreciate this generous donation and look forward to monitoring the growth in bicycle and pedestrian trips for years to come." This project involves extending the 395 Express Lanes for eight miles north from Turkeycock Run near Edsall Road to the vicinity of Eads Street in Arlington. The two existing HOV lanes (or High Occupancy Toll) lanes will be converted to express lanes and a third lane will be added, providing three reversible express lanes. The improvements primarily will be built within the existing footprint of the I-395 HOV lanes. In November 2015, the Commonwealth signed a Framework Agreement, establishing that the 395 Express Lanes extension will be done by Transurban under the current 95 Express Lanes Comprehensive Agreement with VDOT. There will be a dedicated annual transit payment by Transurban for transit services and multimodal strategies identified in a study led by Virginia's Department of Rail and Public Transportation. Vehicles with three or more people can use the express lanes for free, while vehicles with fewer than three people can choose to pay a variable toll and use the express lanes. Construction is expected to begin in 2017, with the new extended lanes opening in 2019. As part of the Virginia Department of Transportation's (VDOT) 2016 summer road repaving program, there are several bicycle projects proposed for Braddock District. The improvements are planned for: Ravensworth Road, Coffer Woods Road, Patriot Drive, Guinea Road, Queensberry Avenue, and Heritage Drive. Additional Information for Heritage Drive The current proposal from FCDOT and VDOT for the Heritage Drive section does not reduce the number of vehicular lanes on Heritage drive down to one in each direction. The number of vehicular lanes and parking spaces will remain the same on Heritage Drive except for a short 0.2-mile segment between Rectory Lane and Patriot Drive (map). The design to the north and south of the segment retains the existing number of travel and parking lanes, but reduces the widths of these elements to create space to include a bike lane. Fairfax Connector proposes service changes for implementation in June 2016 not only to serve the greatest number of riders as effectively as possible and to increase ridership, but also to enhance the customer experience through increased on-time performance, improved service reliability and reduced crowding. Proposed improvements target high-ridership corridors, as well as the Stringfellow Road Park and Ride expansion along I-66, which is scheduled for completion this spring. Eliminate Route 734 in response to low ridership and alternate bus service available along the majority of the route. The theme of the roundtable discussion, organized by the Intelligent Transportation Society of Virginia (ITS Virginia), was\ Planning for Tomorrow's Transportation Today, with a strong emphasis on potential applications in the Northern Virginia (NoVA) region. The roundtable, comprised two plenary sessions. Disruptive Technologies for Tomorrow: Disruptive technologies drastically change traditional approaches to our way of life, e.g. autonomous vehicles and ‘mobility on demand' services. This session will explore how disruptive transportation technologies may affect mobility and accessibility of travelers in NoVA during the next decade or so, identify technical and institutional barriers to deployment, and highlight the possible roles for state, regional, and local governments in the use of such technologies. This session will be moderated by a local transportation media personality, and will include perspectives from innovators, policymakers, and thought leaders from both the private and public sectors. Impact of Today's Technologies: Today's technologies will continue to support transportation operations, and will help bridge the gap until disruptive technologies are sufficiently mature for widespread deployment and use by travelers. This session will cover how today's technologies are helping to reduce traffic congestion in NoVA, such as local ITS deployments, impact of the Express Lanes, and integrated corridor management strategies. This session will include a panel discussion with NoVA practitioners and planners. A Design Public Hearing for the Wiehle Pedestrian Project at Wiehe Avenue at the W&OD Trail will be held Thursday, 17 March 2016. Meeting will be held at Hunter Woods Reston Community Center, 2310 Colts Neck Rd, Reston VA 20191. Stop by between 6:30 p.m. and 8:30 p.m. to view displays and learn more about the project. The project team will be available to answer your questions. For more information on the public Information Meetings see the county's website on the project. The Fairfax County Department of Transportation (FCDOT) prepared its biannual report to the Board of Supervisors on transportation projects and activities within the county. The report includes updates on all active projects, including those projects in the Third Four-Year Transportation Program for FY2013 through FY2016 and the Board approved Transportation Project Priorities (TPP) for FY2015 through FY2020. The report has a new title, "Fairfax County Transportation Status Report," replacing the previous title, "Status Report on the Board's Third Four-Year Transportation Program." Since the report covers projects and activities beyond the Four-Year Program, the new name more accurately reflects the contents of the report. The Fairfax County Board of Supervisors approved the county's FY 2016-2022 Transit Development Plan (TDP) at its 15 March 2016 meeting. The plan, which updates the county's first TDP from 2009 and works in conjunction with the new 10-year Comprehensive Transit Plan (CTP), provides a roadmap of Fairfax Connector and other bus service investments over the next six years. "Fairfax County is committed to expanding transit services to provide residents and visitors more travel options," said Sharon Bulova, Chairman of the Fairfax County Board of Supervisors. "The bus service proposed in this plan will provide new routes, improve performance of existing service and create new connections with the second phase of the Metrorail Silver Line." The TDP is financially constrained to anticipated revenues over the six-year planning horizon (through 2022) and is a required submission to the Virginia Department of Rail and Public Transportation (DRPT) every six years. The CTP is financially unconstrained with a 10-year planning horizon (through 2025). "As we celebrate 30 years of Fairfax Connector service, we are looking ahead to the next 10 years," said Tom Biesiadny, Director of Fairfax County Department of Transportation. "This look forward reflects the changing travel needs of those who live, work and travel in Fairfax County, and who use, or will use transit to access jobs, education, services, shopping and activities." The development of the TDP and CTP involved a robust community outreach effort, and service recommendations based on public feedback are included in these plans. The TDP recommendations are a subset of those identified in the CTP, and prioritize bus service recommendations based on anticipated funding. The approved TDP recommends investments over the next 6 years in the areas of enhancing existing service, including cross-county and regional connections; adding service to areas that currently do not have transit service; addressing missing connections between activity centers; and restructuring low performing service to better utilize resources, respond to ridership demand, and attract new riders. The CTP recommends bus service and associated facility improvements to serve the county's current and future riders over the next 10 years, and looks at new service types that can provide a first-mile/last-mile solution for Fairfax Connector riders. For more information on the FY 2016-2022 TDP and the CTP, visit http://www.fairfaxconnector.com. Lengths and Limits: Total length of the project is approximately 0.43 mile from 0.56 mile west of Tyco Road to 0.13 mile west of Tyco Road. This project will widen Route 7 from four lanes to six lanes. The six lane facility will tie into the existing four lanes. The decks of the two existing bridges over the Dulles Toll Road (DTR) will be replaced and widened in the middle to accommodate one extra lane on each side of the bridges. A 14-foot-wide shared-use path will be built for pedestrians and bikes to travel in each direction. The shared-use path will tie into future trails. The proposed grade of the bridges over the DTR will be raised to meet the standard clearance requirement of 16.5 feet. The superstructure and the two abutments of the existing bridges will be replaced, and the substructure will be repaired. Existing piers will be widened to accommodate the additional width for the bridge. The widening work will require some additional right of way and temporary construction easements. Construct a grade-separated interchange along US Route 15 at Edwards Ferry Road. Construct improvements at Fort Evans Road to address traffic congestion and safety. The proposed project involves extending the southern terminus of the 95 Express Lanes by approximately two miles with a reversible single lane that splits into northbound and southbound merge ramps. A new southbound end point will carry Express Lanes traffic past Route 610 (Garrisonville Road) and back into the I-95 southbound regular lanes. A new left entry from northbound I-95 will be located south of Route 610. Improvements are intended to lessen congestion at the entrance and exit points of the 95 Express Lanes in Stafford. Construction is estimated to begin later 2016, and be completed in 2018. The southern extension of the 95 Express Lanes is being done in partnership by VDOT and Transurban. For Project materials, including plans, project schedule, and traffic, environmental, visit the project web page. Light Rail Transit (LRT) and/or Bus Rapid Transit (BRT) corridors. Enhanced bus facilities that allow buses to move faster and provide more reliable service. The CLRP shows the road, bridge, high-occupancy vehicle (HOV), transit, bicycle and pedestrian projects funded through the year 2040. The air quality conformity analysis assesses the plan with respect to the air quality requirements under the 1990 Clean Air Act Amendments. The study seeks to evaluate the conceptual grids of streets and road elements in the areas surrounding the Reston Metrorail Stations (Reston Transit Station Areas (TSA). The Purpose of the network analysis, as directed by the Board of Supervisors, is to evaluate the conceptual grids of streets and road elements at gateways to the Reston Transit Station Areas (TSAs), which would result in traffic flowing at acceptable conditions while maintaining a walkable grid of streets. The end result should be TSA street networks that are cost effective, and require the minimum right-of-way, with the least negative impacts to adjacent properties and the environment and take into consideration the provisions of the Reston Phase I Master Plan. These improvements will mitigate problem locations in the three TSAs. The forum examined the importance of bus rapid transit (BRT) in the U.S. It found strong evidence that BRT systems in the U.S. generate economic development; attract jobs, retail and affordable housing -- at a cost that is well within reach for many mid-size American cities. Read more about our presenters and benefits about BRT in the U.S. here. On 12 January 2016 the Fairfax County Board of Supervisors approved a $1.7 million plan to bring Capital Bikeshare to Reston and Tysons. The Fairfax County Board of Supervisors approved a $1.7 million plan to bring Capital Bikeshare to Reston and Tysons at its regularly scheduled meeting today. This investment will help get cars off the road, boost local economy and contribute to a healthier community. "With the transformation of Reston and Tysons into more urban centers, Fairfax County is investing in infrastructure needed to make it easy to get around." said Board of Supervisors Chairman Sharon Bulova. "More people are living and working in these areas than ever before. "Downtown" areas by definition are not designed to accommodate high volumes of car traffic and parking. Creating the right atmosphere that encourages walking and biking is important for these areas to continue to be attractive and highly sought after by residents and businesses alike." The bikeshare system will allow individuals in the Reston and Tysons to check out a bike and ride short to moderate distances from station to station. There will be 132 bicycles available in Reston at 15 stations located between the Wiehle-Reston East Metrorail Station and Reston Town Center; and 80 bicycles available in Tysons at 11 stations located east of Route 7, north of Route 123, and south of the Dulles Toll Road. The Fairfax County Department of Transportation (FCDOT) is working to identify and refine the exact locations for the stations in Reston and Tysons, and will be moving forward with the equipment purchase for the program. The first phase of the system is expected to open in the fall of 2016. The Board's action comes just one month after the approval of 31 pedestrian and bicycle projects in Herndon and Reston, and it also supports the county's Strategic Plan to Facilitate Economic Success. The economic plan calls for creating dense, mixed use communities with many transportation options, and Capital Bikeshare helps to accomplish this goal. Not only do bikeshares attract the younger "creative class" that fuel an innovation economy, but also they produce tangible economic benefits. Also, a 2014 Capital Bikeshare member survey found that its riders make more trips to restaurants and stores than they normally would without the bikeshare system. In addition, an academic study found that 23 percent of Capital Bikeshare riders spent more money because they used the system. For more information on the expansion see the county's announcement. The Northern Virginia Transportation Commission (NVTC) wanted to hear from the greater community about priorities for improving Washington Metropolitan Transit Authority's (WMATA) transit operations and customer service. Recognizing Metro's critical role in the region's economy and quality of life, NVTC sponsored two regional forums. Hands-on activities, handheld polling and small group discussion allowed the public to prioritize issues and pinpoint solutions to help the transit agency address challenges pertaining to affordability, service reliability, and safety. Upon arriving, individuals participated in an activity designed to visually rank potential improvements within the WMATA system. Virginia members of the WMATA Board of Directors and WMATA General Manager/CEO Paul Wiedefeld provided an overview of the transit agency's priorities. Attendee were invited to participate in roundtable discussions, where they had the opportunity to share comments and suggestions to help WMATA improve the quality of its operations and customer service. Wiedefeld will sst in on the roundtables to better understand the priorities of those who ride Metrorail, Metrobus and MetroAccess. An update on the I-95 and I-495 Express Lanes including plans for expansion northward from the I-395 current termination to Eads St in Arlington and from the I-95 current termination in Stafford County two miles further south. If you carpool today (two or more people in a vehicle), you will continue to ride the lanes for free when dynamic tolling is scheduled to begin in 2017 during morning and evening rush-hours (5:30 am to 9:30 am eastbound and 3 pm to 7 pm westbound). Solo drivers can ride the lanes in exchange for paying a variable toll based on the distance they travel. Average toll is expected to be $6 a trip. In 2020, lanes will be free to vehicles with three or more people during rush-hours (carpoolers, vanpools and buses) and motorcycles per adopted regional policy. All others will pay a variable toll. The lanes will remain free to all traffic during off-peak periods. There will be no tolling in the reverse commute. All of the revenues raised from the tolls will finance transportation improvements in the corridor. Estimated toll revenue in 2018 is $18 million. Should traffic not flow better in five years, toll revenues will be used to widen I-66 eastbound from the Dulles Connector Road to Ballston. I-66 Outside the Beltway involves building two express lanes and three regular lanes in each direction, new bus service and other multimodal improvements such as new and expanded park and ride lots along I-66 between U.S. Route 15 in Haymarket and I-495. NVTC explored ridership and cost projections for high-capacity transit along Route 7 at three public meetings in November. Envision Route 7 is attempting to identify the best transit option for a 14-mile stretch of road between Tysons Corner and the City of Alexandria. Such an option would move more people, faster and more reliably, through the corridor to jobs, school, appointments, and shopping and entertainment venues. At the November meetings, the Northern Virginia Transportation Commission shared ridership and cost estimates for three modes -- light rail, bus rapid transit, and enhanced bus service -- and share information on the alignments under consideration. Some of the issues being addressed include cut-through traffic, pedestrian safety and walkability. A presentation can be viewed online that shows the proposed options (8C and 8D) in more detail, as well as the measures of effectiveness for both alternatives (including travel times). For more information on the project, contact Fairfax County Department of Transportation at 703-877-5600, TTY 711. Fairfax County is exploring the feasibility of installing a bike share system in Reston and whether such a system could complement the expanding local multi-modal transportation network. The County was awarded technical assistance through the Transportation/Land-Use Connections Program, funded by the Transportation Planning Board of the Metropolitan Washington Council of Governments (MWCOG) to conduct this feasibility study. County staff worked with the consultant, Alta Planning + Design, to complete the study and the final report was issued in June of 2014. On 28 October 2015 the town of Herndon received a brief on Vehicular and Pedestrian Access to Herndon Metrorail Station. FCDOT hosted a public information meeting on the Soapstone Connector Project on 26 Oct 2015. 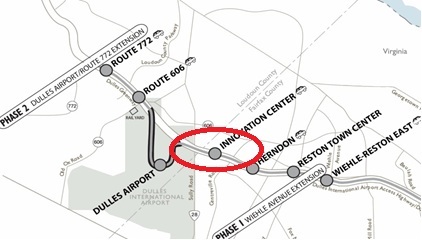 The Soapstone Connector Project aims to provide a direct connection between Sunset Hills Road and Sunrise Valley Drive crossing over the Dulles Toll Road (Route 267), as recommended by the Reston Metrorail Access Group (RMAG).The project is also included in the Reston Comprehensive Plan Amendment which was approved by the Fairfax County Board of Supervisors in February 2014. The proposed Soapstone Connector alignment is a composition of two previously evaluated alternatives and was chosen due to its advantages over the numerous alternatives studied. These advantages include benefits to multi-modal users, connectivity to Soapstone Drive, and minimization of impacts to environmentally sensitive areas. 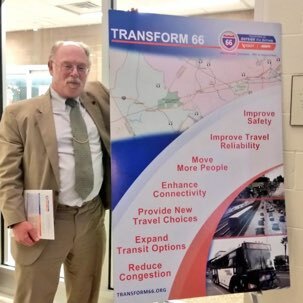 VDOT presented their Preferred Alternative for the Transform 66 Outside the Beltway project, which consists of multimodal improvements along 25 miles of I-66 between I-495 (the Capital Beltway) and U.S. Route 15 in Haymarket. The Dulles Corridor Metrorail Project, in coordination with Fairfax County Supervisor Foust (Dranesville District) office and Fairfax County Department of Transportation, held an informational meeting on the future Innovation Center Station. The meeting provided information on Phase 2 of the rail project and focused on construction of the Innovation Center Station and the associated improvements for the north side of the Dulles Toll Road and the station. The CLRP shows the road, bridge, high-occupancy vehicle (HOV), transit, bicycle and pedestrian projects funded through the year 2040. The six-year TIP includes all projects, programs, and strategies that state and local transportation agencies plan to implement between 2015 and 2020. The air quality conformity analysis assesses the plan amendments and program with respect to the air quality requirements under the 1990 Clean Air Act Amendments. The comment process on the TIP is being used to obtain comments on the region's program of projects that are funded by the Federal Transit Administration (including projects funded by the Urbanized Area Formula Program) and the Federal Highway Administration. To learn more about the currently approved CLRP, please visit www.mwcog.org/CLRP. The Centreville Road Bridge will carry future Silver Line trains over Centreville Road. To ensure the safety of vehicles, bicyclists and pedestrians, the work will require nighttime lane closures from 9 p.m. to 5 a.m. In addition, between midnight to 5 a.m., traffic on Centreville Road will experience intermittent full road closures, varying from five (5) to a maximum of twenty (20) minutes each. Full closures will be implemented when the work spans the entire width of the roadway. The work is scheduled to continue at night through October and into November. The work will entail the use of three cranes to set large girders, floor beams and floor decking for the bridge directly over Centreville Road. Two cranes will work from the Dulles International Airport Access Highway and one will be placed on Centreville Road. For more information about the construction, please call 703-572-0696.A 24/7 emergency hotline is available for Dulles Corridor Metrorail Project construction-related issues: 844-385-7245. For project information: http://www.dullesmetro.com/news-and-updates/press-releases/nighttime-installation-of-centreville-road-bridge-begins-october-5/ or 703-572-0506. In an afternoon ceremony held at the City of Fairfax City Hall, NVTA members, legislators, regional leaders and local transportation agencies, celebrated the acquisition of 23 new buses that will add capacity to the transit network in our region. The Authority has programmed funding for an additional 11 buses to be purchased in the next year. This $16.5 million dollar bus investment is part of the approximately $535 million dollars in regional transportation projects programmed by the NVTA in just under two years for roadway and transit congestion reducing projects. Fairfax County celebrated Try Transit Week Sep. 21--25, 2015, and Car Free Day Sept. 22, 2015, by encouraging residents to go car free for a day and try an alternative to drive--alone commuting. Carpooling and vanpooling are other alternatives to drive--alone commuting that can reduce the stress of rush--hour driving and provide a faster trip by using High Occupancy Vehicle (HOV) lanes on I--95/I--395, I--495, I--66 and the Dulles Toll Road. There are over 40 Park and Ride facilities in Fairfax County where commuters can meet their carpools or vanpools, and most offer free parking. Programs such as the Guaranteed Ride Home program make it easier for commuters to leave their cars at home and try transit or ridesharing because it provides a free taxi ride home in case an emergency occurs during the day. Many employers offer fare subsidies such as Metro's SmartBenefits to employees who take transit or ride in vanpools. Take advantage of the SmartBenefits Plus 50 program and you may qualify for a free $50 SmarTrip card! Some employers offer premium or reserved parking spaces for carpools and vanpools. 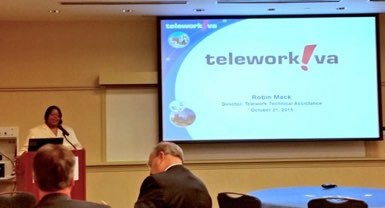 Many employers also offer telework programs that allow eligible employees to work from home once or twice a week. Fairfax County salutes commuters who regularly take transit, share a ride, or use another alternative to go to work each day, because traffic would be much worse if they decided to drive alone. Conversely, traffic would be much improved if more commuters opted to go car free even one day a week! By reducing the number of single--occupant vehicles on the road -- or getting more people in fewer vehicles -- commuters can enjoy less traffic while improving air quality and saving money on fuel, maintenance and parking expenses. Fairfax County held a public meeting on 17 September 2015 to solicit comments on the proposed FY 2016 Transportation Alternative Program projects. After approval by the Fairfax County Board of Supervisors, the program's projects will be eligible for submission to the Virginia Department of Transportation (VDOT) for funding under the Moving Ahead for Progress in the 21st Century, also known as MAP--21. This program provides 80 percent of the funds for each eligible project. A 20 percent local match is required. Any project presented to the board for endorsement must have an identified source of funding for this match. The Recreational Trails program under section 206 of title 23. The Safe Routes to School program under section 1404 of the SAFETEA--LU. Planning, designing, or constructing boulevards and other roadways largely in the right--of--way of former Interstate System routes or other divided highways. During this webinar, OIPI discussed the methodology of the VMTP Needs Assessments, how VTrans relates to HB2 and how it will be used to screen HB2 projects applications. The CoSS, Regional Networks, and UDA teams provided brief presentations followed by a moderated session. This was a good opportunity to answer questions about potential HB2 projects and how to best relate them to VMTP needs. The Office of Intermodal Planning and Investment (OIPI) and their consultants lead the webinar with participants including Localities, MPOs, PDCs, VDOT districts, and anyone else interested in and/or eligible to submit HB2 projects. In advance of the Metrorail Silver Line Phase II, VDOT initiated these Simple Bridge Preventive Maintenance Projects with the main purpose of eliminating and closing the bridge deck joints above the proposed Silver Line tracks. Future construction of the tracks in the median of Route 267 will limit the access to the bridge existing piers. The cost of performing any future repairs to the bridge piers would need to include cost of coordination with Metro, which would significantly increase future repair costs. The Monroe Street/Van Buren Street dual bridges over Route 267 are 378--ft.--long, six--single--span, steel plate girder bridges. There is a 38--ft. gap between the northbound and southbound bridges. The northbound bridge was constructed in 1963, and the deck was milled and overlaid in 1989. The total northbound bridge width is 29.16 ft. and provides 24 ft. curb--to--curb for two traffic lanes, 1.5--ft. safety walks and 1.08--ft. parapets with fences. The southbound bridge was constructed in 1989 with a total bridge width of 35.66 ft. and consists of a 1.66--ft. parapet with fence, 1.37--ft. shoulder, two 12--ft. traffic lanes, 1.37--ft. shoulder, 1.25--ft. parapet, five--ft. sidewalk and 1--ft. parapet with fence. The Herndon--Monroe Park and Ride Ramp bridge over Route 267 is a 613--ft.-- long, seven--single--span, steel plate girder bridge. The total bridge width is 32.75 ft. and consists of one 17.71--ft. traffic lane and 5.90--ft. shoulders. The bridge was constructed in 1999. The Reston Parkway dual bridges over Route 267 are 385--ft.--long, six--simple-- span, steel plate girder bridges. The northbound bridge was constructed in 1959 and widened and deck--replaced in 1989. The northbound total bridge width is 42.33 ft. and consists of a 1.66--ft. raised median, one--ft. shoulder, three 12--ft. traffic lanes, two--ft. shoulder and 1.66--ft. barrier. The southbound bridge was constructed in 1976 and widened in 1989. The southbound total bridge width is 51.66 ft. and consists of a 1.66--ft. raised median, one--ft. shoulder, three 12--ft. traffic lanes, three--ft. shoulder, 1.66--ft. barrier, 8.33--ft. path and one--ft. curb with pedestrian fence. the new projects that have been submitted for the Constrained Long--Range Plan (CLRP). an analysis of how the region's transportation system is expected to perform based upon inputs from the 2015 CLRP. The TAC Vice Chair, Jenifer Joy Madden, prepared a short paper with "Ten fun facts about the West Ox Bus Operations facility"
a research recently completed study under the federal Transportation, Community and Systems Preservation (TCSP) Program. These programs are all designed to promote non--motorized circulation and access improvements in Regional Activity Centers and in communities that seek to reduce auto--dependency. View the brochure and comment sheet. The purpose of this project is to replace the temporary Hunter Mill Road (Route 674) bridge over Difficult Run. A temporary bridge was installed in November 2011 to replace the original structurally deficient bridge while VDOT developed plans for a permanent structure. The bridge width will be widened to accommodate an 11--foot wide lane in each direction and four--foot wide shoulders to address recommendations by the 2006 Hunter Mill Road Traffic Calming Study. Accelerated construction methods will be utilized along with reusing the temporary bridge foundations to minimize the construction duration. The bridge length will be approximately 50 feet. Hunter Mill Road at Difficult Run will be closed for approximately 20 days during construction and traffic will be detoured as it was during installation of the temporary bridge. The existing bridge has an average traffic count of 17,000 vehicles per day, and a projected count of 22,000 vehicles per day for the design year of 2035. On 11 May 2015 the Route 28 Widening and Improvement Ground-breaking was sponsored by the NVTA. Elected officials and dignitaries moving the first shovelfuls of dirt for the camera. The forum featured U.S. Deputy Secretary of Transportation Victor Mendez along with Virginia Secretary of Transportation Aubrey Layne, providing the opportunity to hear what top transportation policy makers have to say about transit's role in economic competitiveness. On 16 April 2015 a Seminar on the Future of Dulles Airport and the Dulles Region was sponsored by the Committee for Dulles, Dulles Corridor Rail Association, Northern Virginia Transportation Alliance, Washington Airports Task Force, Metropolitan Washington Airports Authority, Dulles Area Transportation Association, Dulles Regional Chamber, Fairfax County Chamber, Greater Reston Chamber, Greater Washington Board of Trade, Loudoun County Chamber, Prince William Chamber, Northern Virginia Regional Commission, Prince William Chamber and the Suburban Maryland Transportation Alliance. Panel Members: Gloria Bohan, President and CEO, Omega World Travel; Dr. Annie Hunt Burriss, CEO, George Mason University Prince William Campus; Dr. Gerald Gordon, President and CEO, Fairfax County Economic Development Authority; Buddy Rizer, Director, Loudoun County Economic Development; Scott Hamberger, President and CEO, Integrus Holdings, Inc.
Virginia Sen. Mark Warner explains why the health of Dulles Airport is critical to the region. VDOT sponsored a "Pardon Our Dust" meeting on the roundabout to be built at Schneider Crossroads on 14 April 2015. The Virginia Department of Transportation hosted a "Pardon Our Dust" meeting to update residents about the planned roundabout at the intersection of Pleasant Valley and Braddock roads. VDOT representatives and the project contractor discussed the scope, construction, schedule and maintenance of the traffic operations plan. Currently, the county's Transportation Comprehensive Plan calls for the extension of Leland Road, known as the Leland Road connector. It would connect to Old Centreville Road at the present 90--degree turn with Braddock Road, traversing the edge of the Royal Oaks property. Supervisor Frey made a motion to consider removing the extension from the plan. FCDOT reviewed his request and proposed an alternative for Leland Road. At the meeting the alternative was presented and the community discussed both plans. Section 33.2--361 of the Code of Virginia requires that a public hearing be held prior to the allocation of any transportation funds. The Six--Year Improvement Program (SYIP) is a document that outlines planned spending for transportation projects proposed for construction development or study for the next six years. The SYIP is updated annually and is the means by which the Commonwealth Transportation Board (CTB) meets its statutory obligation under the Code of Virginia to allocate funds to interstate, primary, secondary and urban highway systems, public transit, ports and airports and other programs for the immediate fiscal year. The SYIP also identifies planned program funding for the succeeding five fiscal years. The CTB allocates funds for the first fiscal year of the SYIP but the remaining five years are estimates of future allocations. Fiscal years start on July 1 and end on June 30. The CTB updates the SYIP each year as revenue estimates are updated, priorities are revised, project schedules and costs change, and study results are known. Development of the SYIP begins in the fall and the Virginia Department of Transportation hosts a series of meetings seeking public comment with various other multi--modal transportation agencies. Each Spring, a DRAFT SYIP is presented to the CTB and made available for public comment. The DRAFT SYIP will be presented to the CTB at their April 15, 2015 meeting and made publicly available at that time. The Board of Supervisors adopted Fairfax County's first ever Bicycle Master Plan on October 28, 2014. The Bicycle Master Plan laid out the long term vision for adding bicycle facilities throughout Fairfax County. The Bike Fairfax Wikimapping Project provides commuters and leisure bicyclists the opportunity to help prioritize future bicycle improvement projects. Specifically, they were reaching out to bicyclist to show what routes are being used to get to Metrorail and Virginia Railway Express (VRE) stations in Fairfax County. This information will help guide the decision making process on future bicycle infrastructure improvements including wayfinding signage and bike lanes. Construct/add one HOV lane in each direction from Burke Lake Road to I--495. Construct/add one general purpose lane in each direction from Guinea Road to Burke Lake Road. Construct a transit center along Braddock Road located in thevicinity of the Kings Park Shopping Center. A plan for HOV widening on Braddock Road was adopted by the Fairfax County Board of Supervisors in 1990. The Northern Virginia 2010 Transportation Plan recommended HOV widening on Braddock Road from Burke Lake Road to I--495 and conventional widening from Guinea to Burke Lake Road The section of Braddock Road to be studied currently handles approximately 70,000 vehicle trips a day. the Cooperative Forecast. Paul Desjardin, of COG's Department of Community Planning and Services, described how COG planning staff collaborates with jurisdiction planning staff from across the Washington region to develop a forecast of expected population, household, and employment changes between 2015 and 2040. He also provided an overview of the ways that these forecasts are utilized by the TPB for use in transportation demand forecasting. The project upgrades the loop ramp from the Fairfax County Parkway onto Fairfax County Parkway/Franconia--Springfield Parkway. The cost estimate for the design--build project is $14 million. American Infrastructure (AI) is the design--build contractor. The project is expected to complete in Spring 2016. On 4 February 2015, GovPartners hosted "TNC's, Transportation Network Companies -- The New Cab?" the second in its on--going transportation series. The event started off with Moderator Dwight Kines, TransDev, giving the room a bit of a teaser for what to expect of the presentation. Dwight was followed by Nick Ramfos, Director of Alternative Commute Programs for the Metropolitan Washington Council of Governments. Mr. Ramfos gave the audience some insight into changes that will be coming along with revised regulations and policies for TNC's like Uber and Lyft in the DC Metro Area. Reston Limousine COO, Tony Simon, then took the stage for a unique perspective on the pros and cons of TNC's and how they might affect the marketplace. Aaron Brandenburg, an Economist and Statistical Information Manager for the National Association of Insurance Commissioners provided a surprising view on the inner workings of TNC's and the insurance industry. Last but certainly not least was Professor Matthew W. Daus, President of International Association of Transportation Regulators and Partner at Windels Marx. Mr. Daus gave a lively presentation about the history of TNC's and how they have evolved into such a large taxi competitor. The VDOT presentation covered on--going and future projects in the region (pdf) (ppt). VDOT's website has detailed information about the projects as well as near real--time snowplowing status during storms. RT--50 widening project is on--going until next year. The project includes widening the road to eight lanes, shared bike path on both sides, and improving traffic signalization. Widening RT--50 to first roundabout to Watson Road is unknown. The Lee Road project should be completed in May 2015 and eliminate the choke point between Willard Road and RT 50. The RT--29 Bridge over Rocky Run Stream will be done in October 2015. Stringfellow Road will open the four lanes in December 2014 and completion in July 2015. Additionally, the improvement includes two bike paths on each side of the road. Overall, the project allowed no nighttime work because of local resident concerns. Furthermore, traffic is over 33,000 vehicles per day. The Walney Road Bridge will be closed to traffic in December 2015 and includes a shared bike path. The Pleasant Forest Trail Project will be completed in July 2016 with a 10--foot bike path from the PV Road/Braddock Road Intersection to the Loudoun County Line. One of the challenges is re--locating the electrical poles on the road. Are We Achieving Our Regional Transportation Goals? View from the Top -- Virginia Transportation Secretary Aubrey L. Layne, Jr. The Alliance thanks the Patrons and Sponsors who made the 2014 What You Need to Know about Transportation Seminar possible. Two rounds of public meetings were held for this project. The first round consisted of two meetings, one each in the Dranesville and Hunter Mill Supervisor Districts, designed to collect input on recommended pedestrian and bicycle facility improvements. A third meeting was held on 18 June 2014 to provide the public with the results and final recommendations of the HMSAMS effort. The presentation slides are available in PDF format. At its 10 September 2013 meeting the Transportation Advisory Commission (TAC) was briefed on Metro Momentum, Metro's Strategic Plan for 2013--2025 (PDF). The public meetings and one Ask Fairfax! online chat discussed the Fairfax Connector proposed bus service plan that will coincide with the start of service on the Washington Metropolitan Area Transit Authorityís (WMATA) new Silver Line. The plan includes the creation of 12 new routes, the restructuring of 24 existing routes and the elimination of six routes. The revised plan incorporates changes suggested by riders and the community, since the original service proposal was released in January 2013. The complete bus service plan will be discussed at each meeting, with special emphasis placed on area service changes for the general vicinity of each meeting location. Karin Foster of the TPB staff brief the committee on freight planning activities, including the Regional Freight Plan, the list of top 10 freight projects and upcoming initiatives (pptx) (pdf). The last slide is entitled "Addressing the Challenges Highlighted by the 2012 CLRP"
At the 6 December 2012 Governor's Transportation Conference the Metropolitan Washington Airports Authority (MWAA) made a presentation on Dulles International Airport: Economic Engine for Virginia. At its 17 October 2012 meeting, Garrett Moore, VDOT District Administrator, Northern Virginia, briefed DATA on VDOT Northern Virginia Highlights. To view the presentations click on the underlined topic titles. The Board of Supervisors is seeking community feedback on ways to generate funding to address these unfunded transportation (roadway, transit, bike and pedestrian) needs. For more information about the Countywide Dialogue on Transportation Funding, visit www.fairfaxcounty.gov/fcdot/cdot. Thelma Drake, Director, Virginia Department of Rail and Public Transit, was the featured speaker at DATA's 17 May 2012 annual awards dinner. She spoke on Transit and Rail Efforts Impacting Northern Virginia. I--66 Tier 1 EIS by Jaak Pedak of the Fairfax County Department of Transportation. On the VDOT website for the I--66 Tier 1 EIS is the presentation provided at the I--66 Tier 1 EIS Participating Agencies meeting which he presented at their meeting. Due to a conflict the brief on the I--66 Active Traffic Management (ATM) System was not made. Kamal Suliman of VDOT provided a copy of the presentation he would have made and which he will reschedule. The Metropolitan Washington Airports Authority hosted a Dulles Toll Road 2011 Public Update in Reston on December 6th to provide information to the public about the Toll Road’s finances, operations and planned improvements. Status Report on the Reston Metrorail Access Group (RMAG) PPT PDF as well as their prioritized recommendations for improvements near the Wiehle Avenue Station. On 16 November 2011 the Loudoun County transportation and planning staff briefed the SDC on development in the VA Rt 28, US Rt 50 and Dulles Metrorail corridors (PDF PPT). Every month the Dulles Corridor Metrorail Project publishes a newsletter charting each month's progress. The newsletters are available from their website. A white paper from FTA Administrator Peter Rogoff and staff on its proposal for cost saving measures for Phase 2 of the Silver Line dated 3 July 2011. Dr. Lomax is the co--author of TTI’s annual Urban Mobility Report, which since 1982 has chronicled mobility and congestion trends in 90 major urban areas. The 2010 Report ranked Northern Virginia/Metropolitan D.C.’s congestion worst in the nation. Dr. Lomax’s first--hand knowledge of the problem promises an authoritative look at the potential solutions. At the Dulles Corridor Rail Association's 6 June 2011 spring reception, Dulles Metrorail Project Executive Director, Pat Nowakowski gave a status report on the project. A DCRA seminar "The Look Forward: Economic Development in the Dulles Corridor -- Drivers & Actors" was cohosted by the Committee for Dulles on May 26 at the Executive Conference and Training Center. Experts provided an update on Loudoun County's planning for rail, new, detailed descriptions of planned projects, and a discussion of the challenges and opportunities that await. Click below to view the presentation slides. Gail Parker brought this May 20111 report from the Center For Transit--Oriented Development on Transit and Regional Economic Development to the committee's attention. Transportation Services Group Transportation Demand Management (TDM) Outreach PPT PDF. At the Commonwealth Transportation Board's April 20th meeting, VDOT's Chief Planning and Programming Officer reported that the proposed FY2012--2017 Draft Six--Year Improvement Program (SYIP) will have over $3 billion more than the FY2011--2016 program. The Highway Program will increase by $2.4 billion, jumping from $5.7 billion to $8.1 billion; the Rail and Public Transportation portion increases from $2.1 billion to $2.3 billion. GARVEE Bonds (.5 billion) and Virginia Transportation Infrastructure Bank Grants/Loans (.3 billion) bring the total to $11.2 billion, an increase of $3.4 billion. The gain is a result of the passage of Governor McDonnell's Transportation program which focuses on issuing transportation bonds to jump start Virginia's deflated transportation program. The new highway funding will help advance several important Northern Virginia highway projects including I--66 (new lanes from Gainesville to Haymarket), the Route 1/Route 123 Interchange and the Leesburg Bypass/Sycolin Road Interchange. Click here to view the CTB presentation. While this infusion starts to reverse the recent SYIP trend of shedding projects, for perspective: a decade ago VDOT's FY2002--2007 SYIP was $10.1 billion. The Good News: $3 Billion Helps Get the SYIP Back on Track. Yet: The SYIP Still Lacks the Long--Term Funding Needed to Build a 21st Century Transportation Network. In remarks on 13 April 2011 at a seminar sponsored by the Northern Virginia Transportation Alliance to area business leaders and public officials, transportation writer and consultant Alan E. Pisarski opined that federal reauthorization is not only unlikely to increase transportation funding, but an actual reduction of up to 20% is possible. Pisarski pointed out that employers will go where the skilled workers are located or want to be, and that the lack of good, time--efficient internal suburban--to--suburban and rural--to--suburban links puts this region at a competitive disadvantage in the long run. The potential for a decrease or status quo level of federal funding is particularly bad news for Virginia given the heavy dependence of its highway construction program on federal revenue and the Virginia General Assembly's steadfast refusal to authorize new sustainable funding. He also noted that while Arlington County is widely praised in terms of land use and transportation planning, two out of three Arlington residents work outside the county and most Arlington workers are non--county residents. In contrast, over half of Fairfax residents work in Fairfax County. While the Obama administration talks regularly about a $500 billion federal transportation program, actual available revenues total only about $240 billion and the administration has not indicated how it would fund the balance. A 2--3 year extension of the current federal program based on available revenues may be the most likely short--term scenario. Carpooling is declining across the nation and region. More than half of carpools are "fampools", consisting of members of the same family. Transit riders and carpoolers share similar circumstances. Thus, when transit ridership mode splits increase, the percentage carpooling generally decreases, and vice versa. Prince William residents have the longest average commutes in the region, while the average commute for Loudoun residents is less due to the location of more jobs in that county. Commuting continues to decline as a percentage of daily trips, while freight traffic continues to increase dramatically. To view Mr. Pisarski's Power Point presentation, click here. On 7 April 2011, Transurban, Fluor and Virginia Megaprojects/VDOT/VDRPT hosted a forum to report on the progress on the Capital Beltway HOT Lanes and the Dulles Corridor Metrorail projects. The Northern Virginia Transportation Alliance was the sponsor of this event which featured a greeting by Fairfax County Board Chair Sharon Bulova, and construction updates on both projects. VDRPT Director Thelma Drake briefed attendees on incentives and tools available to help Tysons employer/employees cope with construction--related and future traffic conditions. 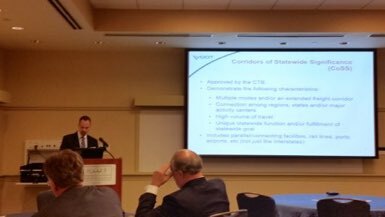 Virginia Megaprojects Communications Director Steve Titunik provided an overview of the Regional Transportation Management Plan. Beltway HOT Lanes are now 65% complete and looking to open in late 2012. Dulles Corridor Metrorail Phase I is 33% complete and on track to open in 2013. The Metropolitan Washington Airports Authority (MWAA) met on 6 April to determine the location of the proposed Dulles Airport Rail station. The current proposed alignment, under the parking lot in front of the mail terminal, is estimated to be $600 million more than a proposal that would bring the rail above ground in front of the north parking garage. They heard a brief on the Financial Impact of Alternative Airport Alignments PPT PDF. They heard from Mame Reiley, Chair, Dulles Corridor Committee, advocating the current underground alignment PPT PDF. The MWAA Board then voted for the underground alignment. Illustrations of the proposed alternatives are in their decision press release. Reaction to the decision by elected officials was uniformly negative. Virginia Secretary of Transportation Sean Connaughton wrote expressing the Commonwealth's disappointment with MWAA's decision to advance the tunnel alignment indicating that the decision could add $250 to $300 million to the overall project cost. Tenth District Congressman Wolf reported that "This is bad decision. MWAA had a chance to cut more than $600 million from the project and chose not to. I am disappointed and share the concerns of state and the local partners. Everything possible needs to be done to keep costs down on this project." Fairfax County Board Chairman Bulova indicated that the county expects MWAA to cover the expected cost increase for the underground alignment for the Dulles Station. The upcoming Metropolitan Washington Airports Authority (MWAA) 6 April meeting to determine the location of the proposed Dulles Airport Rail station. The current proposed alignment, under the parking lot in front of the mail terminal, is estimated to be $600 million more than a proposal that would bring the rail above ground in front of the north parking garage. Fairfax County Board Chairman Sharon Bulova has sent two letters to MWAA from the board, the first, on 25 February 2011, stressed the need to bring the estimate for phase two to as close as possible to the original estimates, while the second, dated 1 April 2001, specifically addressed the alignment choice by indicating that the county was in favor of the above ground alignment to keep costs to a minimum. Since the last NVTA meeting was held, the members of the Jurisdiction and Agency Coordinating Committee submitted projects for consideration of inclusion into the TransAction 2040 Plan. The draft list of projects consist of some existing projects that were included in TransAction 2030 but have yet to be implemented, and new projects (i.e. HOT Lanes) that were not identified when TransAction 2030 was developed. The region’s Constrained Long Range Plan (CLRP) which is prepared by the National Capital Transportation Planning Board (TPB) will serve as the baseline for the TransAction 2040 Plan update. Therefore, any projects in the current CLRP will be reflected in the baseline. The Authority’s Technical Advisory Committee (TAC) met on March 23, 2011. The draft project list was released to the TAC for their review and comment. In addition to the TAC meeting, a kick--off meeting was held with the Planning Coordination Advisory Committee (PCAC) on March 30, 2011. The PCAC was given background on the TransAction 2040 update, informed of their role regarding the plan update, and, per the ‘charge’ of the PCAC, was given the draft list of projects for review and input. Other items discussed at both the TAC and PCAC meetings include the revised Public Involvement Plan for the study. The consultant team is scheduled to finalize the Prioritization Approach: Objectives, Strategies and Performance Measures and initiate travel demand forecasting on the draft list of projects by the end of this month. The draft list of projects available on line. The JACC is also seeking input from the Authority on the project list prior to the initiation of the travel demand modeling for the project. The 4th Circuit of the US court of Appeals reached a decision on 23 March 2011, upholding the lower Court in dismissing all of the claims brought by Chris Walker challenging the Dulles Rail Project. That brings to an end the last of the lawsuits challenging one or another aspect of the Dulles Rail Project. The Circuit characterized Walker's claims as being "generalized grievances" which did not present a true controversy that the Court could resolve but instead raised policy issues not appropriate for the Court. The only claim that they addressed directly was one that alleged that MWAA had violated Virginia's Freedom of Information statute. The Court affirmed the lower Court's conclusion that the Airports Authority, as an independent political body, was not subject to Virginia's FOIA statute. Contract Packaging Options for Phase 2 of the Dulles Corridor Metrorail Project. Recommendation on Alternative Airport Alignments at Dulles International. FC Park Authority presentation of current and planned trail improvements. Most of the trail projects are already funded from park bonds, federal funds, etc. and some are under construction. However, a few of the projects are not yet funded, or need neighborhood support to proceed. What actions the state legislature took in response to the governor's transportation plan. What actions the state legislature took in response to Transportation Bills introduced during the session. Fairfax County Board Of Supervisors’ 2011 General Assembly Final Legislative Report. A Public Information Workshop on Proposed Designs to Phase 2 of the Dulles Corridor Metrorail Project was held on 13 September 2010. The proposed design is available online. As part of the TAC's review of this study we had raised some questions, and the staff thought it needed clarification before it answer some of our queries. This Excel worksheet was prepared by the staff so we could provide additional guidance before it could respond to our questions.